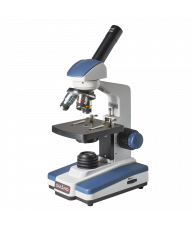 The New Meiji EM-30 series stereo microscopes bring a modern look and clean design to the student biology or science classroom. 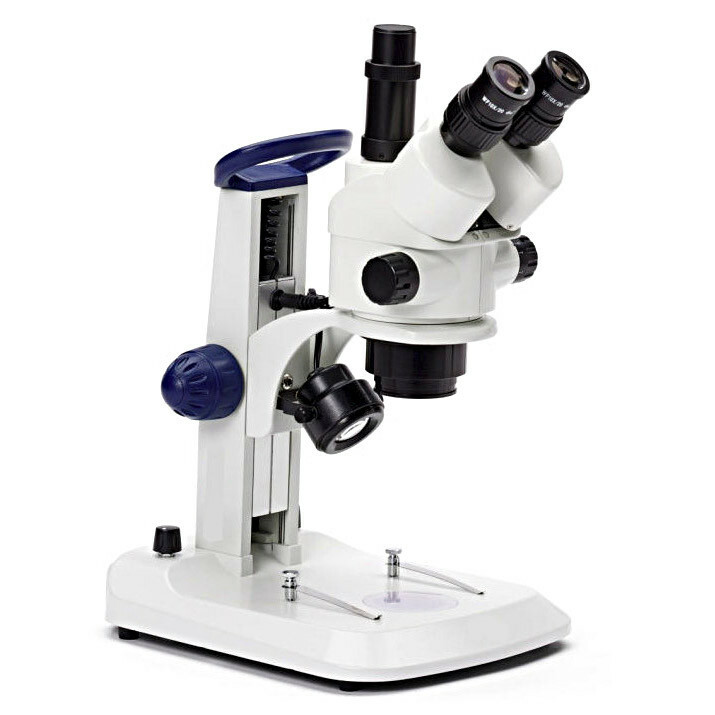 Featuring your choice of 10X/30X or 20X/40X step magnification or 7.5X/45X zoom magnification, they all present sharp, erect images across a wide field of view. Variable 3W LED upper and lower illumination, a rugged design and large working distance ensure years of dependable service in the classroom or teaching laboratory. Choose between 10X/30X or 20X/40X step magnification, or the versatile 7.5X/45X zoom magnification and enjoy 10X WF eyepieces and a generous 100mm working distance below the objective turret. 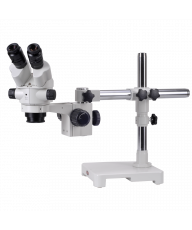 Both eyepieces offer +/- 5 diopter adjustment and they are set in a binocular 45-degree head which rotates 360 degrees for optimum student-teacher interaction. 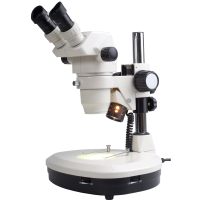 For added flexibility, the 20X/40X and zoom version include the optional trinocular port for image capture and documentation. Interpupillary adjustment range is 55mm-75mm and all optics are treated with anti-bacterial protection. The EM-30 series includes dual-sided ergonomic focusing controls with rack-and-pinion gearing and tension control. The 3W LED incident and transmitted illumination is variable intensity and can be used separately or together for optimum viewing. The aluminum-alloy enamel-coated stand features a beveled, slim-profile base for comfortable use and solid footing, along with a glass stage plate and two stage clips. It also features an ergonomic carrying grip for safe, secure handling. Rubber eyeshields, glass stage plate, AC adapter, vinyl dust cover, manual. 2-Year Warranty. 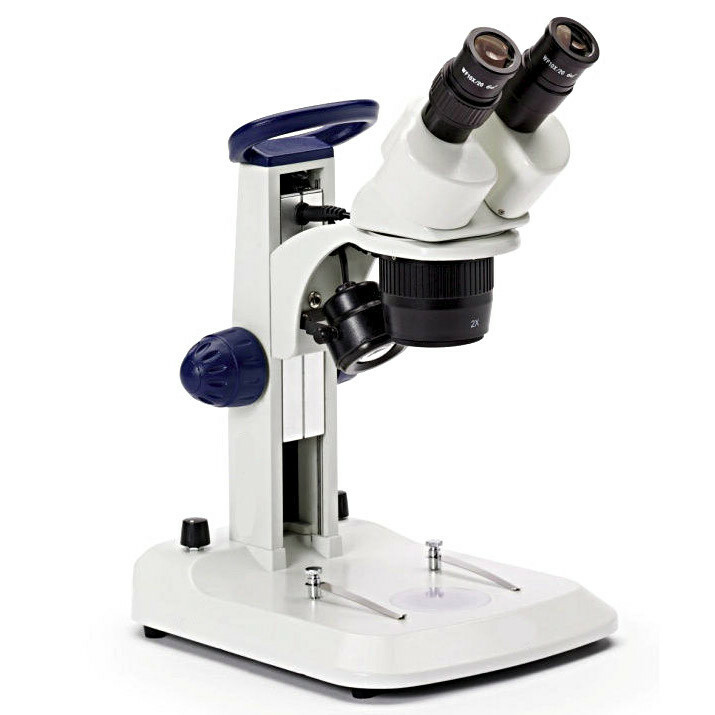 Meiji C-Mount adapter with 0.33X reducing lens, for 1/3" sensor on EM-30 Series stereo microscope. Meiji C-Mount adapter with 0.50X reducing lens, for 1/2" sensor on EM-30 Series stereo microscope. 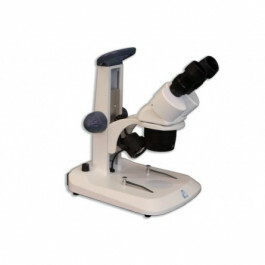 The New Meiji EM-30 series stereo microscopes bring a modern, clean design to the student biology or science classroom, at a very competitive price. 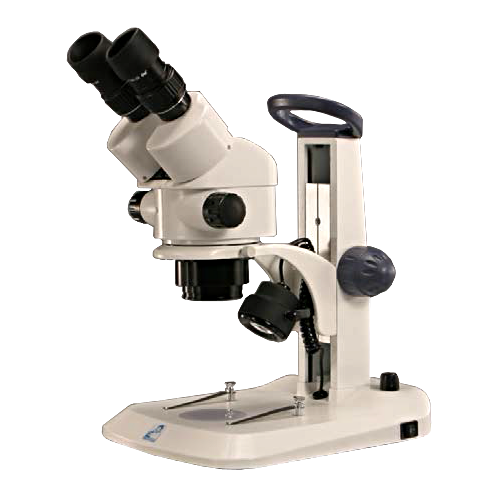 Featuring your choice of 10X/30X or 20X/40X step magnification or 7.5X/45X zoom magnification, they all present sharp, erect images across a wide field of view. 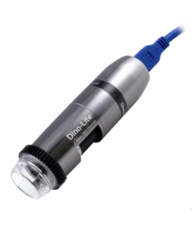 Variable 3W LED upper and lower illumination, a rugged design and large working distance ensure years of dependable service in the classroom or teaching laboratory. The aluminum-alloy enamel-coated stand features a beveled, slim-profile base for comfortable use and solid footing, along with a glass stage plate and two stage clips. It also features an ergonomic carrying grip for safe, secure handling. 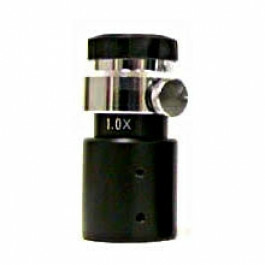 Base dimensions: 266mm X 219mm. 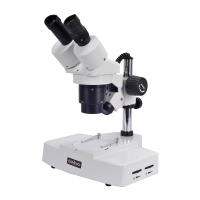 New Student MicroscopeThe New Meiji EM-30 series stereo microscopes bring a modern, clean design to the student biology or science classroom, at a very competitive price. 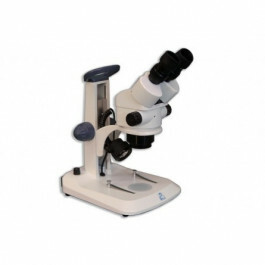 Featuring your choice of 10X/30X or 20X/40X step magnification or 7.5X/45X zoom magnification, they all present sharp, erect images across a wide field of view. 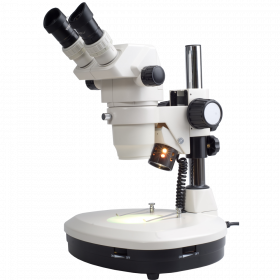 Variable 3W LED upper and lower illumination, a rugged design and large working distance ensure years of dependable service in the classroom or teaching laboratory.OpticsChoose between 10X/30X or 20X/40X step magnification, or the versatile 7.5X/45X zoom magnification and enjoy 10X WF eyepieces and a generous 100mm working distance below the objective turret. 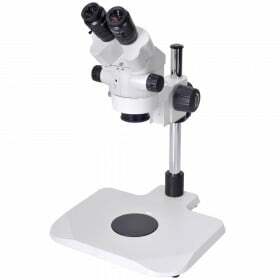 Both eyepieces offer +/- 5 diopter adjustment and they are set in a binocular 45-degree head which rotates 360 degrees for optimum student-teacher interaction. 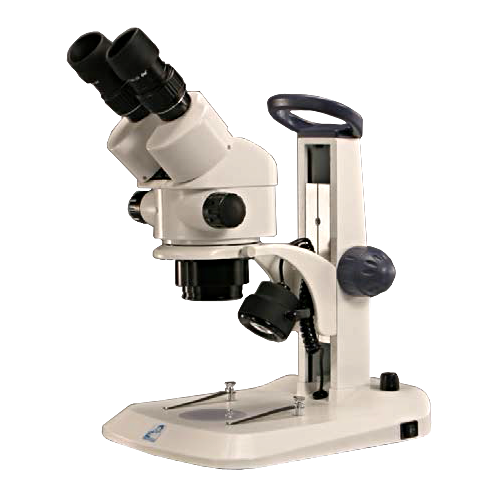 For added flexibility, the 20X/40X and zoom version include the optional trinocular port for image capture and documentation. 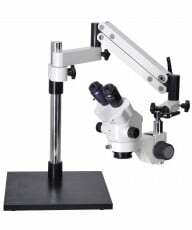 Interpupillary adjustment range is 55mm-75mm and all optics are treated with anti-bacterial protection.Focus & IlluminationThe EM-30 series includes dual-sided ergonomic focusing controls with rack-and-pinion gearing and tension control. 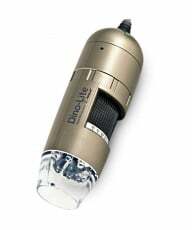 The 3W LED incident and transmitted illumination is variable intensity and can be used separately or together for optimum viewing. StandThe aluminum-alloy enamel-coated stand features a beveled, slim-profile base for comfortable use and solid footing, along with a glass stage plate and two stage clips. It also features an ergonomic carrying grip for safe, secure handling. Base dimensions: 266mm X 219mm. AccessoriesRubber eyeshields, glass stage plate, AC adapter, vinyl dust cover, manual. 2-Year Warranty.